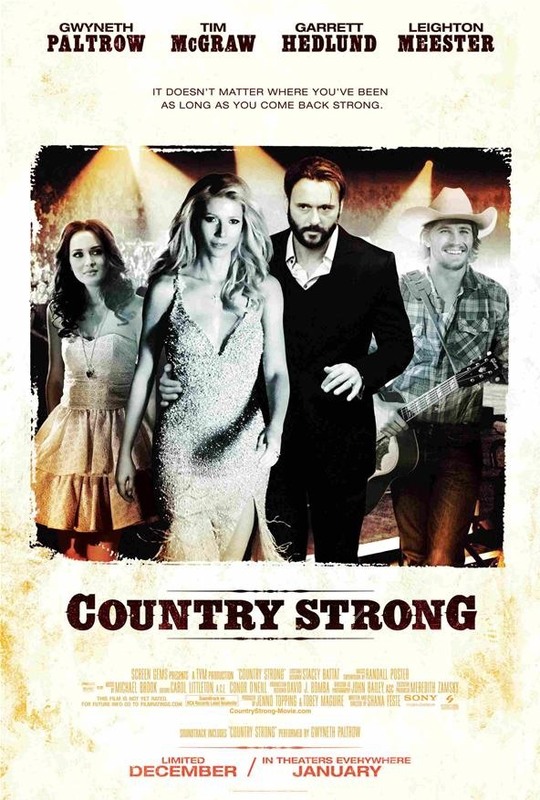 Country Strong (formerly titled:Love Don't Let Me Down) is an upcoming drama film about a country singer named Kelly Canter. It stars Gwyneth Paltrow as Kelly Canter and Garrett Hedlund as Beau Williams and is directed by American filmmaker, Shana Feste. It is set for release on December 22, 2010.